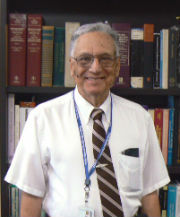 Professor Warm joined the faculty of the University of Cincinnati shortly after receiving his doctorate in experimental psychology from the University of Alabama in 1966 and completing post-doctoral training in human factors under the direction of Earl Alluisi at the University of Louisville. Currently, he is Professor Emeritus of Psychology at the University of Cincinnati, Senior Scientist at the Warfighter Interface Division, Human Effectiveness Directorate, Air Force Research Laboratory, Wright-Patterson AFB, Ohio, and Distinguished Researcher in the Human Factors Group of the University of Dayton Research Institute. Professor Warm is a Fellow of the American Association for the Advancement of Science, the American Psychological Association, the Association for Psychological Science, and the Human Factors and Ergonomics Society. He has served on two National Research Council committees, is an Associate Editor of Human Factors and a member of the editorial board of Theoretical Issues in Ergonomic Science. Professor Warm was honored by the UC Graduate School for his outstanding contribution to the training of graduate students. He received the Paul M. Fitts Award for Outstanding Contributions to the Education and Training of Human Factors Specialists by the Human Factors and Ergonomics Society, the Franklin V. Taylor Award from Division 21 of the American Psychological Association for Outstanding Lifetime Contributions to Applied and Engineering Psychology, and the Science Mentoring Award from the Human Effectiveness Directorate of the Air Force Research Laboratory,WPAFB. Professor Warm has coauthored or edited four books and dozens of book chapters. He has presented well over two hundred papers at professional meetings and has authored or coauthored more than one hundred articles in refereed journals, including the most prestigious experimental psychology journals: Psychological Bulletin, the Journal of Experimental Psychology: General, the Journal of Experimental Psychology: Human Perception and Performance, the Journal of Experimental Psychology: Applied, Contemporary Psychology, the British Journal of Psychology, the American Journal of Psychology, Psychonomic Science, Perception & Psychophysics, the Bulletin of the Psychonomic Society, Motivation and Emotion, and the Journal of General Psychology. He has also published in major journals in human factors, such as Human Factors, Ergonomics, Theoretical Issues in Ergonomic Science, and the International Journal of Aviation Psychology and in neuropsychology including Psychophysiology, the Journal of Clinical and Experimental Neuropsychology, Neuropsychologica, Brain and Cognition, and NeuroImage. In his forty-two years as a faculty member in the Department of Psychology at the University of Cincinnati, Professor Warm taught dozens of people how to conduct research. Joel always held that a four-hour exam during which students lose several quarts of blood is a pop quiz. He founded the psychology department’s graduate program in human factors, chaired forty-six dissertations and fifty-six master’s theses and served as a committee member on numerous others. Many of his students have gone on to serve with distinction as teachers and researchers at universities; many have taken influential positions in government and the private sector, conducting applications of experimental psychology. Establishing a link between performance in sustained attention and the workload associated with such tasks. Contributing to the theoretical understanding of sustained attention through both his empirical research and his synergistic efforts. Publishing important research on basic perceptual processes associated with cross-modality perception and perceptual illusions. Conducting important research on the practical application of tactile perception to detection. Performing seminal research on the influence of olfactory stimulation on sustained attention. * The FABBS Foundation would like to thank Dr. Diane Halpern for nominating Dr. Warm for this honor and for leading the effort to spread the word about his nomination. Would you like to honor Dr. Warm? It’s not too late to have your name added to the list of donors! You can make your donation to Dr. Warm’s In Honor Of… campaign at anytime.